Hi there! 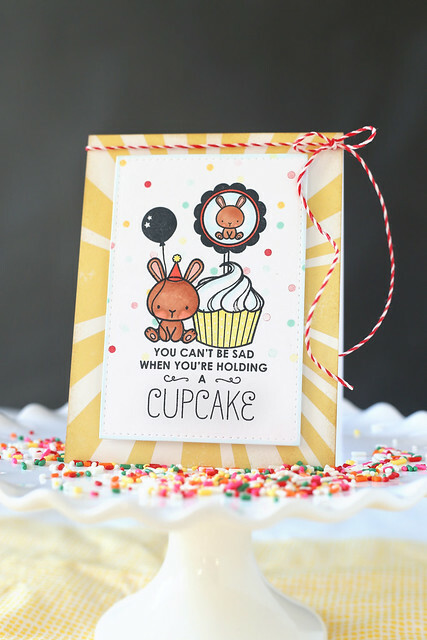 the Mama Elephant team is showing off the carnival cupcakes companion set, carnival toppers. You can't really have one without the other, they work so well together. And look! I'm finally featuring the cupcakes. The bunny is having a party! I stamped the bigger bunny from carnival cupcakes, masked him and stamped the cupcake so it looks like it sits in behind him a bit. Then, I masked the cupcake and stamped the lolli stick from carnival toppers, and fit the smaller bunny into the scalloped topper. SO CUTE. I used the tiny dot image as confetti, and stamped it in rainbow colors all around. I stamped the balloon and then hand-drew the balloon string so it looks like the bigger bunny is holding on. Aside: I took the pictures at different times, can you tell? After taking the full card picture, I decided I didn't like that I could still see the bunny's head outline under the party hat so I paper-pieced the image and took some close-ups. I hope you like what I've created! There's more to see on the Mama Elephant blog today! ACK!!! This is sooooo CUTE!!! Love! 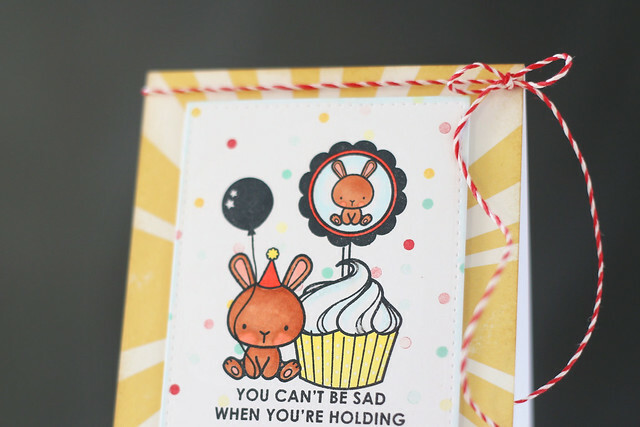 Adorable card...love the layering of the images and the cute sentiment. So bright and happy and festive! 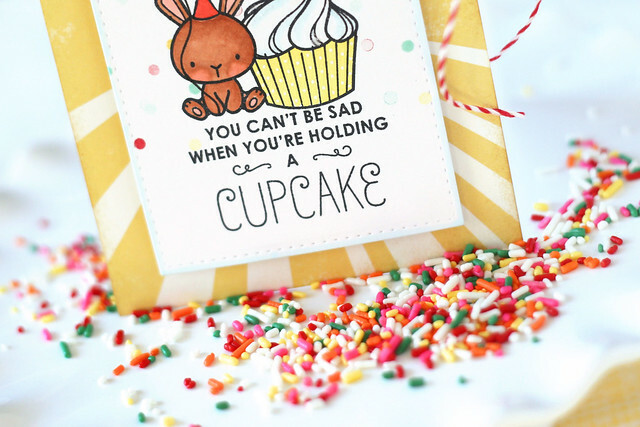 Love this card, and I love sprinkles too...ha! This is so adorable! I love that you made a little cupcake topper!